I admit that I don’t like spiders, especially when they get in the house. There is something in their shapes that make me go, Ewwww! But I do admire the beauty of spider webs unless I happen to run into them full tilt when hiking or trying to retrieve an object. Since the topic of the week for Teach Second Grade blogging team is Spiders, I chose some learning activities inspired by spider webs to share today. How can we skip the most famous spider of all – Charlotte from a classic tale Charlotte’s Web by E.B. White? 3 Dinosaurs has a great project to extend the book by printing words on drawn spider webs. This activity could be used to practice words for any spelling test! Make your own sticky web with this stretchy Halloween slime from the master of all things slime Fun at Home with Kids. Your kids will enjoy giving their plastic (hopefully!) creepy-crawlies a new home. Smarty and I had a lot of fun playing this spider web coloring game from MathWire. 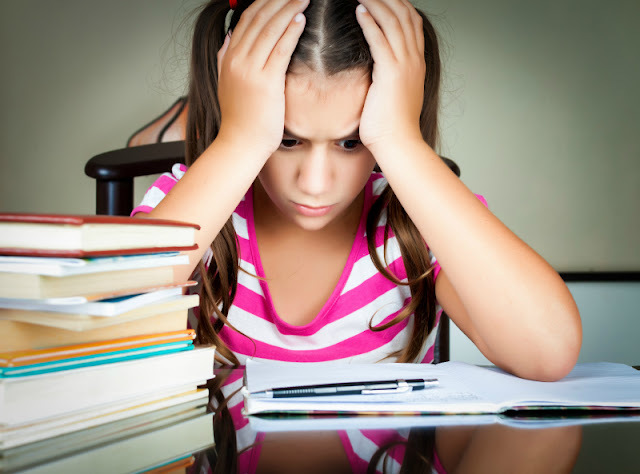 There are two versions – one for younger students and another for competitive players who love scores. Both versions have exactly right combination of strategy and luck for my daughter, and keeping score also carries some addition, easy multiplication, and tally mark practice. We looked at several examples of spider web designs on the web including this impressive plastic spider web construction from Make magazine. We modestly went with engineerig a spider web on a geoboard. Spider webs can be gorgeous, especially when we don’t have to worry about sticky and yucky factor. 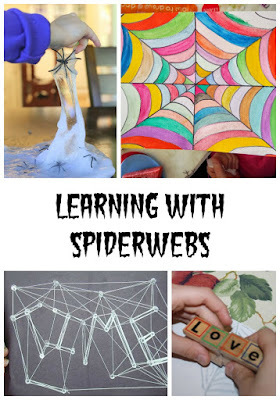 I love this simple guided spider web art tutorial from Learn with Play at Home. What is your verdict on spiders – creepy or cool? More Fall Activities for Kids? Follow my Pinterest board Fall Activities for Kids. If you are looking for more Spider-Themed Activities, the 2nd grade blogging team has got you covered! Check out these awesome spider activities! I'm indifferent to spiders, but then my 3rd grade teacher had a tarantula in the classroom and I thought that was kind of cool. Great collection of spidery ideas! Thanks for sharing! Spiders don't bother me if they aren't ON me! I love the math activity!